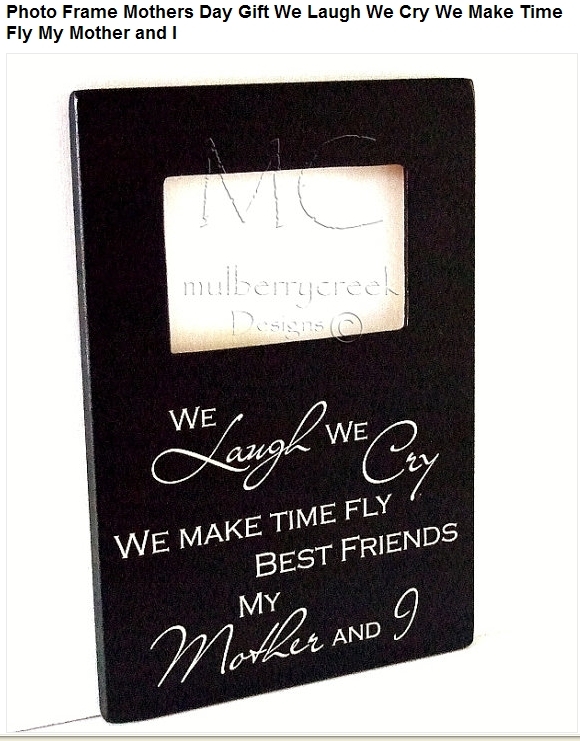 With Mother's Day coming up soon this frame is a great way to celebrate the special relationship between mothers and daughters! 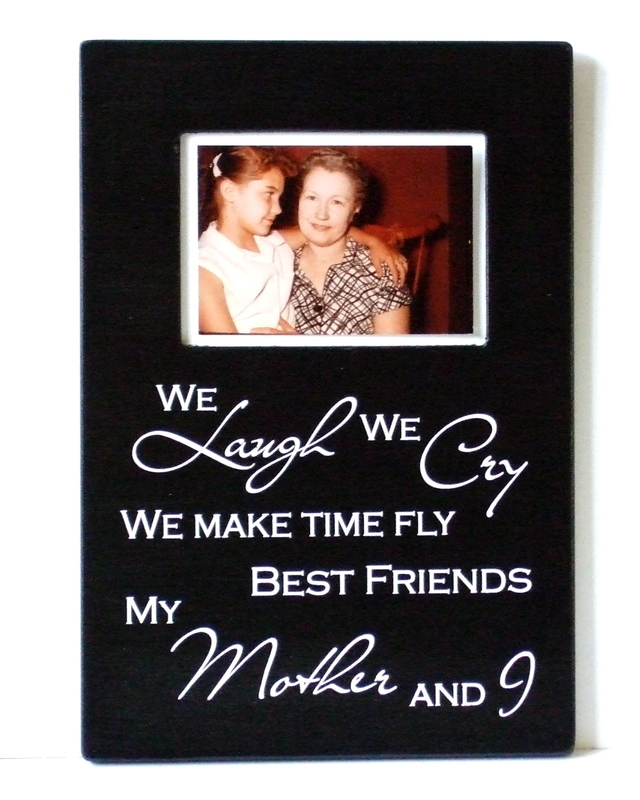 This is one of our new frames in our Etsy Shop . 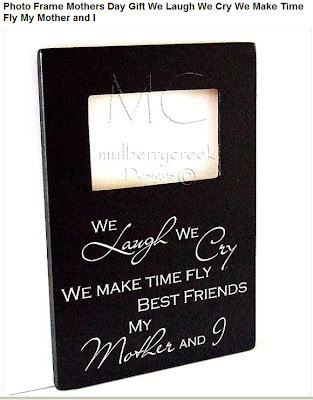 We laugh we cry we make time fly best friends my Mother and I is off white screen printing on a black background. The opening accommodates a 4" X 6" photo. The outside measures 9" X 13" and has a keyhole slot on the back for hanging. For a very personal touch it would be fun to include a vintage photo of you and your Mom as a keepsake along with a written story about the photo! Of course current pics are great too! We all have those very special pictures tucked away somewhere that we never get to enjoy because we never see them! Hope you all have a Happy Mother's Day. Your Picture Frame is outstanding, with the picture it is even better.